China is a growing market in the industry of online shopping, with a growth rate of 27% in 2011. 90% of the online apparel shopping done in China is C2C. 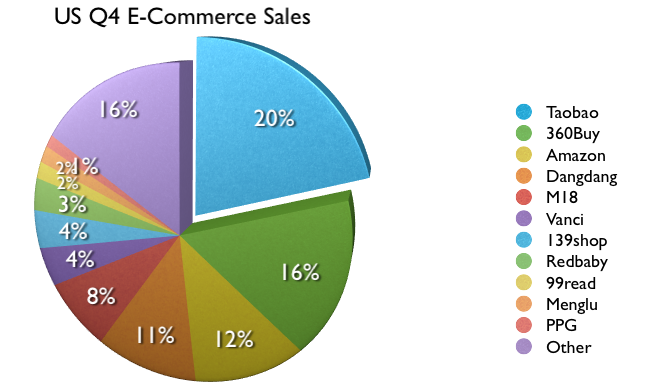 One firm dominates 82% of the C2C sales, and 20.2% of the B2C sales: www.Taobao.com. This website carries merchandize from stores such as Jack & Jones and adidas, but also household items and groceries. The most popular category of shopping from this website is apparel and cosmetics. The site sells over 48,000 items every minute. Yes, every minute.